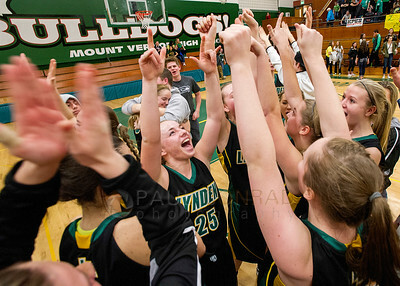 © Paul Conrad/The Bellingham Herald - Emily Holt (25), center, and the rest of the Lynden Lion varsity girls react to winning the 2A Northwest District girls' basketball tournament final against Burlington-Edison at Mount Vernon High School in Mount Vernon, Wash., on Saturday evening Feb. 21, 2015. Lynden defeated Burlington-Edison 67 to 55 to win the district title with both teams advancing to the regional playoffs. 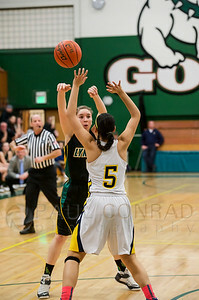 © Paul Conrad/The Bellingham Herald - Lynden's Jasmine Neria (5), right, shoots over Burlington-Edison's Tyra Lopez (5) in the first quarter of the 2A Northwest District girls' basketball tournament final at Mount Vernon High School in Mount Vernon, Wash., on Saturday evening Feb. 21, 2015. 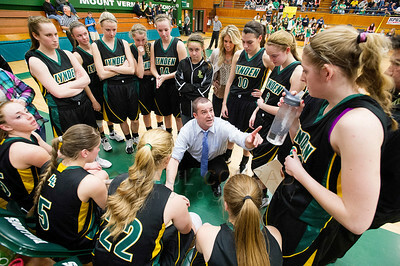 © Paul Conrad/The Bellingham Herald - Lynden varsity girls head coach Rob Adams leads a time out during the final minutes of the 2A Northwest District girls' basketball tournament final against Burlington-Edison at Mount Vernon High School in Mount Vernon, Wash., on Saturday evening Feb. 21, 2015. 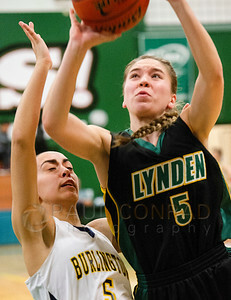 Lynden defeated Burlington-Edison 67 to 55 to win the district title with both teams advancing to the regional playoffs. 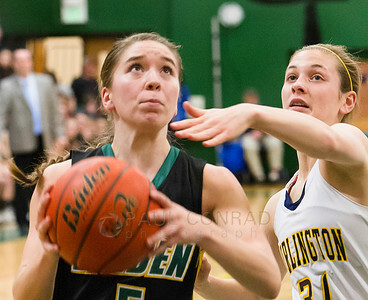 © Paul Conrad/The Bellingham Herald - Lynden's Jasmine Neria (5) eyes a shot past Burlington-Edison's Delaney Watson (31) during the first quarter in the 2A Northwest District girls' basketball tournament final at Mount Vernon High School in Mount Vernon, Wash., on Saturday evening Feb. 21, 2015. 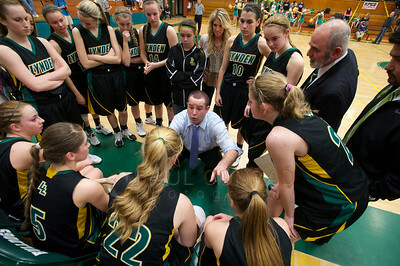 © Paul Conrad/The Bellingham Herald - Lynden Lion varsity girls play against the Burlington-Edison Tigers in the 2A Northwest District girls' basketball tournament playoffs at Mount Vernon High School in Mount Vernon, Wash., on Saturday evening Feb. 21, 2015. ***** defeated ******* to win the district title with both teams advance to the regional playoffs. © Paul Conrad/The Bellingham Herald - Burlington-Edison's Rylee Gunderson (33), left, and Lynden's Mariah Gonzalez (10) go for a rebound in the second quarter of the 2A Northwest District girls' basketball tournament final at Mount Vernon High School in Mount Vernon, Wash., on Saturday evening Feb. 21, 2015. 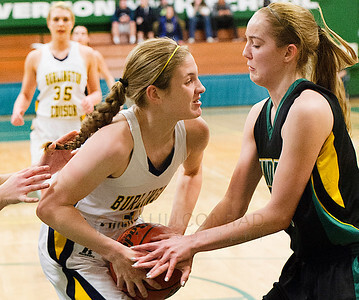 © Paul Conrad/The Bellingham Herald - Burlington-Edison's Delaney Watson (31), left, and Lynden's Lauren Zwiers (3) fight for a rebound during the first quarter of the 2A Northwest District girls' basketball tournament final at Mount Vernon High School in Mount Vernon, Wash., on Saturday evening Feb. 21, 2015. © Paul Conrad/The Bellingham Herald - Lynden's Mandy arena (2), left, Burlington-Edison's Delaney Watson (31), center, and Lynden's Lauren Zwiers (3) go for a rebound during the first quarter of the 2A Northwest District girls' basketball tournament final at Mount Vernon High School in Mount Vernon, Wash., on Saturday evening Feb. 21, 2015. 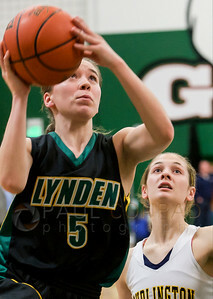 Lynden defeated Burlington-Edison 67 to 55 to win the district title with both teams advancing to the regional playoffs. 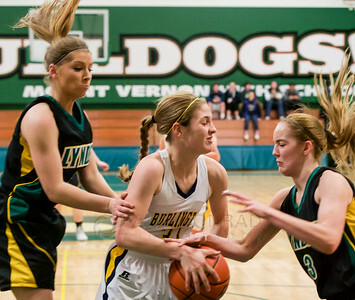 © Paul Conrad/The Bellingham Herald - Lynden's Elisa Kooiman (22) goes around Burlington-Edison's Emily Agen (35), left, during the first quarter of the 2A Northwest District girls' basketball tournament final at Mount Vernon High School in Mount Vernon, Wash., on Saturday evening Feb. 21, 2015. 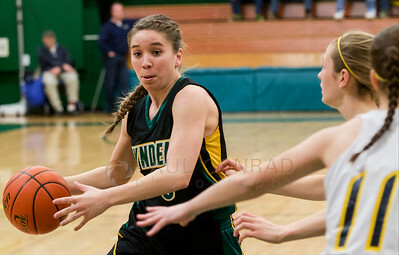 © Paul Conrad/The Bellingham Herald - Lynden's Jasmine Neria (5), right, drives past Burlington-Edison's Tyra Lopez (5) during the first quarter in the 2A Northwest District girls' basketball tournament final at Mount Vernon High School in Mount Vernon, Wash., on Saturday evening Feb. 21, 2015. Lynden defeated Burlington-Edison 67 to 55 to win the district title with both teams advancing to the regional playoffs. 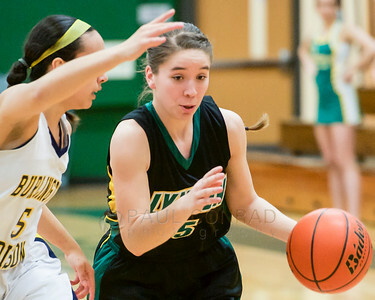 © Paul Conrad/The Bellingham Herald - Lynden's Jasmine Neria (5), right, drives towards the basket during the first quarter in the 2A Northwest District girls' basketball tournament final at Mount Vernon High School in Mount Vernon, Wash., on Saturday evening Feb. 21, 2015. Lynden defeated Burlington-Edison 67 to 55 to win the district title with both teams advancing to the regional playoffs. 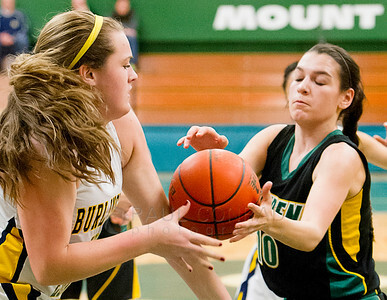 © Paul Conrad/The Bellingham Herald - Lynden's Jasmine Neria (5), left, drives past Burlington-Edison's Delaney Watson (31) during the first quarter in the 2A Northwest District girls' basketball tournament final at Mount Vernon High School in Mount Vernon, Wash., on Saturday evening Feb. 21, 2015. Lynden defeated Burlington-Edison 67 to 55 to win the district title with both teams advancing to the regional playoffs. 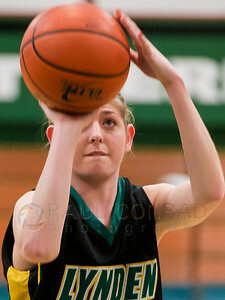 © Paul Conrad/The Bellingham Herald - Lynden's Kaitlyn Mark (23) takes a free throw shot during the first quarter in the 2A Northwest District girls' basketball tournament final at Mount Vernon High School in Mount Vernon, Wash., on Saturday evening Feb. 21, 2015. 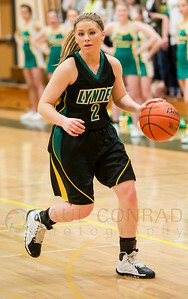 Lynden defeated Burlington-Edison 67 to 55 to win the district title with both teams advancing to the regional playoffs. 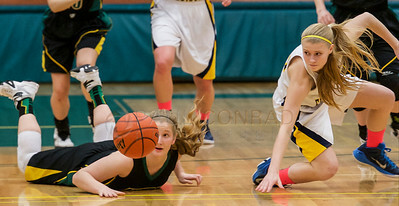 © Paul Conrad/The Bellingham Herald - Lynden's Elisa Kooiman (22), left, and Burlington-Edison's Allyson Ray (13) scramble for a loose ball during the first quarter in the 2A Northwest District girls' basketball tournament playoffs at Mount Vernon High School in Mount Vernon, Wash., on Saturday evening Feb. 21, 2015. 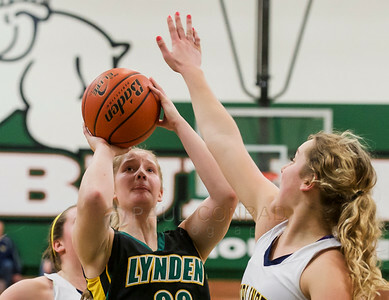 Lynden defeated Burlington-Edison 67 to 55 to win the district title with both teams advancing to the regional playoffs. 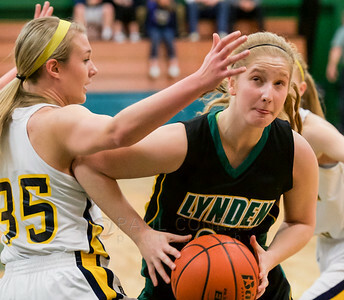 © Paul Conrad/The Bellingham Herald - Lynden's Elisa Kooiman (22) goes around Burlington-Edison's Emily Agen (35) during the first quarter of the 2A Northwest District girls' basketball tournament final at Mount Vernon High School in Mount Vernon, Wash., on Saturday evening Feb. 21, 2015. 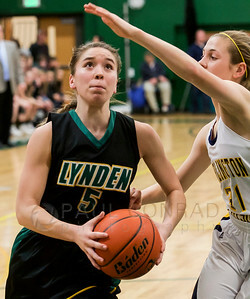 Lynden defeated Burlington-Edison 67 to 55 to win the district title with both teams advancing to the regional playoffs. 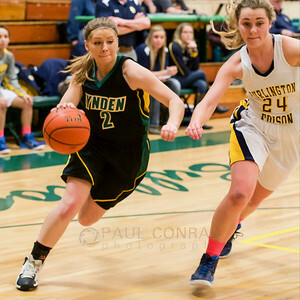 © Paul Conrad/The Bellingham Herald - Lynden's Mandy Warner (2), left, drives towards the basket as Burlington-Edison's Olivia Capron (24) chases down during the first quarterin the 2A Northwest District girls' basketball tournament final at Mount Vernon High School in Mount Vernon, Wash., on Saturday evening Feb. 21, 2015. Lynden defeated Burlington-Edison 67 to 55 to win the district title with both teams advancing to the regional playoffs. 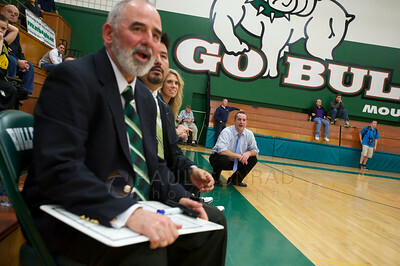 © Paul Conrad/The Bellingham Herald - Lynden's Mandy Warner (2) watches Burlington-Edison's defense during the second quarter in the 2A Northwest District girls' basketball tournament playoffs at Mount Vernon High School in Mount Vernon, Wash., on Saturday evening Feb. 21, 2015. Lynden defeated Burlington-Edison 67 to 55 to win the district title with both teams advancing to the regional playoffs. 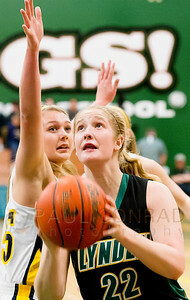 © Paul Conrad/The Bellingham Herald - Lynden's Elisa Kooiman (22) shoots over Burlington-Edison's Olivia Capron (22) in the second quarter of the 2A Northwest District girls' basketball tournament final at Mount Vernon High School in Mount Vernon, Wash., on Saturday evening Feb. 21, 2015. Lynden defeated Burlington-Edison 67 to 55 to win the district title with both teams advancing to the regional playoffs. 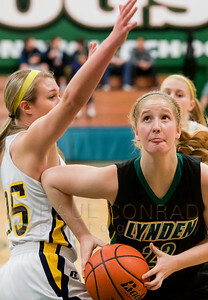 © Paul Conrad/The Bellingham Herald - Lynden Lion varsity girls play against the Burlington-Edison Tigers in the 2A Northwest District girls' basketball tournament playoffs at Mount Vernon High School in Mount Vernon, Wash., on Saturday evening Feb. 21, 2015. Lynden defeated Burlington-Edison 67 to 55 to win the district title with both teams advancing to the regional playoffs. 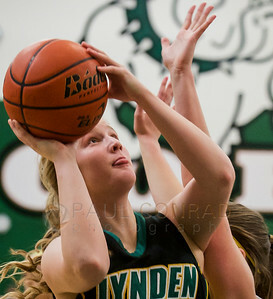 © Paul Conrad/The Bellingham Herald - Lynden's Elisa Kooiman shoots for two during the second quarter in the 2A Northwest District girls' basketball tournament final at Mount Vernon High School in Mount Vernon, Wash., on Saturday evening Feb. 21, 2015. 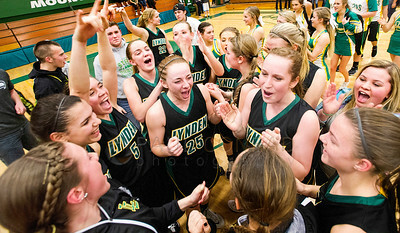 Lynden defeated Burlington-Edison 67 to 55 to win the district title with both teams advancing to the regional playoffs.